SMPlayer media player 18.10 was released a day ago. Here’s how to install it in Ubuntu 18.10, Ubuntu 18.10, Ubuntu 16.04, and their derivatives. SMPlayer 18.10 optimised the internal code for YouTube, so it now supports resolutions up to 4K. In addition, support for age restricted videos has been fixed. 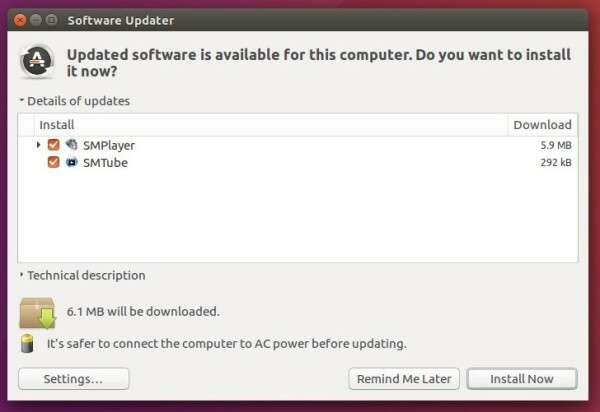 For all current Ubuntu releases and their derivatives, do following steps to install or upgrade SMPlayer via the PPA repository. Type your user password (no asterisks feedback while typing) when it asks and hit Enter. And remove the PPA via “Software & Updates” utility under “Other Software” tab.